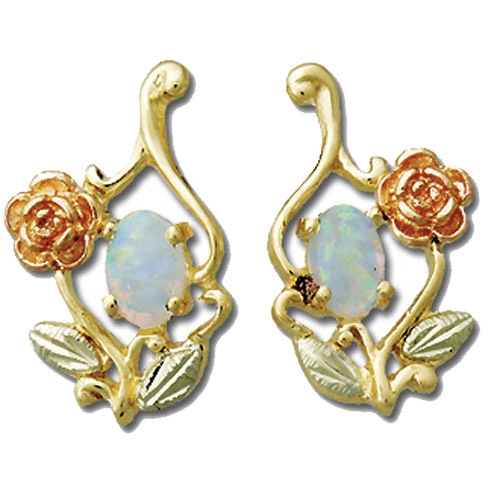 Desc: Landstrom's Black Hills Gold Laboratory Created Opal and rose and grape and leaf post earrings. The Opal is mounted beside the rose with the grape and leaf pattern around. Made in the United States of America.